Solid State Control With Light. 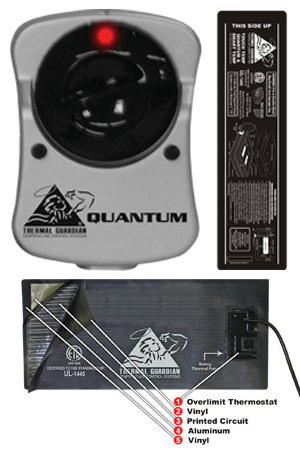 300 Watt Hardside Waterbed Heater. Certified to Underwriter’s Laboratories Waterbed Heater standards. Large Pad with 64-gauge Thermal Fused Duraflex® Vinyl. 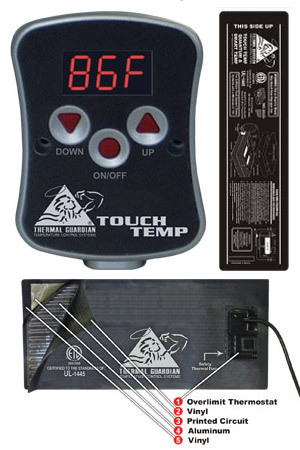 State-of-the-art Ultra sensitive electronic control that holds the temperature to + or – 1/8 degree of set point. Insures consistent and accurate temperature sensing and readout. 120 Watt Softside Waterbed Heater.